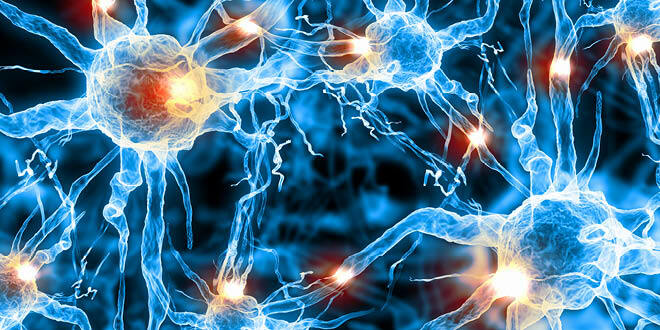 Did you know that mitochondria in the cells of your body are what generates energy? The more mitochondria you have, and the better they function, the more energetic you’ll be and the longer you’ll live. Fatigue is one of the most common problems we see among our patients. Fatigue can be caused by many different health conditions, but often two patients with the same disease will have vastly different energy levels. That means there’s usually a lot you can do to improve your energy, despite your health situation. There are so many different possible causes of fatigue, which can make it tricky to overcome. Poor quality sleep, hormonal imbalances, gut problems and immune system disorders are all common culprits. One culprit that people often don’t think of is nutrient deficiencies. Every cell in your body has the genetic code (DNA) which programs it to function perfectly. However, if your cells do not receive the correct raw materials necessary to carry out these functions, or they don’t receive enough of them, health problems can result. The energy factories inside our cells are called mitochondria. The more mitochondria you have, and the better they function, the more energy you will have. Healthy mitochondria also help to slow down the aging process, and may reduce the risk of chronic disease. Eat sufficient natural, healthy fats. Mitochondria are actually largely composed of fat, which forms the outer membrane and the inner membrane (called cristae). You want your mitochondria to contain healthy natural fats, rather than highly processed vegetable oil or margarine. Most vegetable oil is very high in omega 6 fat, which is highly unstable and prone to oxidation. Nourishing your mitochondria with healthy fats will help them to function optimally. Healthy fats to include in your diet include avocados, olive oil, macadamia nut oil and avocado oil; oily fish or a fish oil supplement; coconut oil, ghee and the fat from grass fed animals such as lard and tallow. Reduce your level of body toxicity. Your body is equipped with its own detoxification organs, such as your intestines, liver and kidneys, however, not everyone is in 100 percent health. The detox organs in most of our patients are not working optimally. Also, the amount of chemicals we are all exposed to in daily life has never been higher. The human species did not evolve to be able to handle this chemical load. If your body is in need of a cleanse, the Doctor Cabot 15 Day Cleanse will help to improve the health of your gut, liver and immune system. Get plenty of antioxidants in your diet. Your mitochondria generate energy by producing ATP (adenosine triphosphate). Inevitably, this process generates free radicals. If too many free radicals are produced, they can harm the mitochondria; particularly the delicate fatty acids within the mitochondrial membranes. Selenium and vitamin C both help to mop up free radicals and reduce their destructive effects. You can take these nutrients in a supplement; they are both found in Selenomune Designer Energy capsules, which may give you a noticeable boost in energy. Raw vegetable juices are another great way to boost your intake of antioxidants. There are lots of recipe ideas in my book Raw Juices Can Save Your Life. Drinking a vegetable juice is a great way to pick up your energy level immediately. Exercise, exposure to cold weather and fasting can all increase the formation of mitochondria inside your cells. All of those conditions can be stressful for your body; therefore your body makes more mitochondria to compensate. We don’t often think of magnesium when it comes to energy, yet it is required by the enzymes that produce energy inside mitochondria. Magnesium is more well known for its relaxing properties; it helps your nervous system and muscles to cope better with stress and should help you achieve better quality sleep at night. However, magnesium deficiency is a common contributor to fatigue. Magnesium is found in green leafy vegetables and nuts; however, it is difficult for most people to obtain enough through diet alone, especially if you exercise a lot or live in a hot climate, where you lose magnesium in perspiration. Just about everybody wants to have more energy. Now you know that taking good care of your mitochondria can help your own body to generate a greater amount of energy. I will benefit from this information! Thank you! I’m always so tired, fatigue, not sleep well and have Diabetes type 2/ polips on my colon (recently take out) but I have one big and I go for a posible surgery ( call sigmoid poli) . I’m in insulin 70/30 ... feel badly now! However I was at AC1 6.4 now I’m on AC1 7.5! Diabetes is usually responsible for the Fatty Livers that most diabetics experience. Diabetes type 2 is able to be reversed with well-defined dietary changes, as outlined in Dr Cabot’s wonderful book, ‘Diabetes Type 2: You Can reverse It Naturally, alternatively you may choose to undertake a low carbohydrate cleansing and we are delighted to let you know that Dr Cabot has recently released her 15 Day Cleanse - Two weeks to begin your journey toward improved overall health and function, utilising both supplements and a tasty, easy to prepare dietary regimen. Please go to www.drcabotcleanse.com to place an order. This may be more beneficial than a prolonged fast, which may place additional stress on your heart. MSM + Vitamin C – ½ to 1 teaspoon twice daily in vegetable juice or water to reduce oxidation, inflammation and protect vital body systems.